Users visit our website from numerous devices with screens of all sizes. To make it easier for them to navigate the website, we turned to a method called the adaptive web design. It lets a web page change its appearance to fit a predetermined set of the most popular screen resolutions. 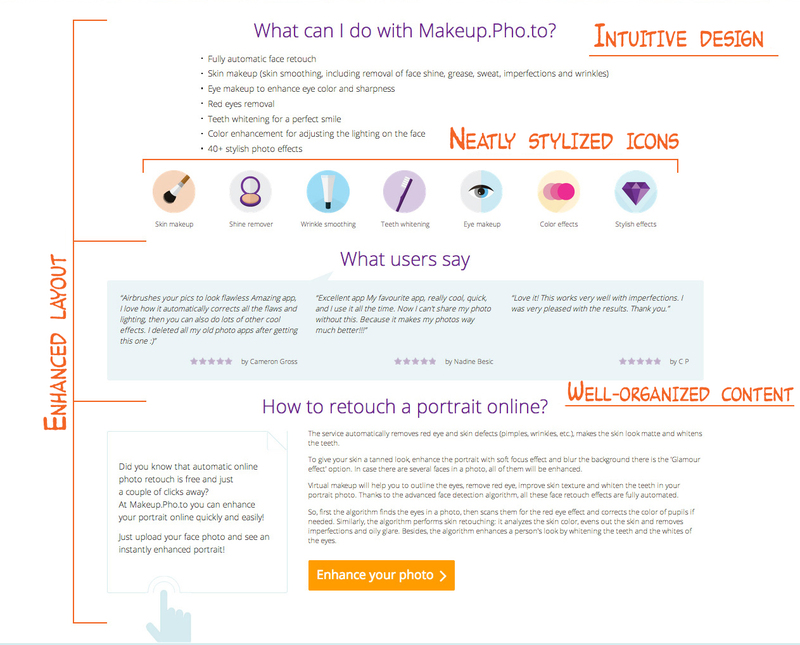 The old look of the Makeup.Pho.to homepage has been transformed completely. 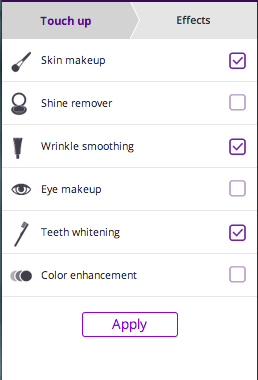 Now it consists of compact information units which briefly tell you about our face retouch service. The first screen presents a slideshow with examples, made in ‘before and after retouch’ style for you to see how the service works and what it does. Scrolling down, you see short text descriptions of each feature, user reviews and other useful information. Here you’ll also find the links to the App Store and Google Play, where you can get mobile versions of the service. Visage Lab PRO HD app for face retouching is currently in 24th place among all photo and video apps on the App Store. We also updated the ‘See original’ option, which lets you compare two pics: the original and the eventual result after enhancement or photo editing. Click and hold the ‘See original’ button to view the photo you uploaded. Release it and see the enhanced image. Now you can accurately zoom in and out with a smaller zoom step to see all the details. Make sure that all pimples are removed, wrinkles are reduced and birthmarks are left untouched! Previously, you had to wait until one new option was applied to your photo before checking another one. We changed the behavior algorithm to cut unnecessary waiting and save your time. Hope you like the redesign as much as we do! If you have any ideas or comments on how to improve our services and mobile apps, please be so kind to share them with us via support@pho.to, Facebook page or Twitter. Stay in touch – we are working hard to bring more awesome news and updates! 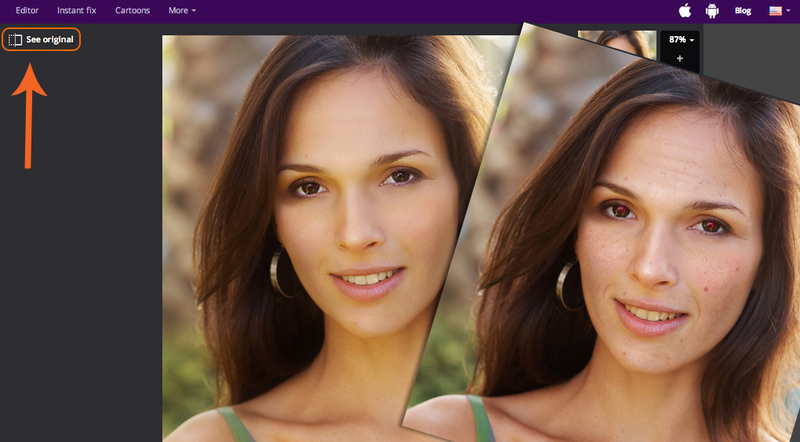 Is there a way of getting the processing of makeup.pho.to without maxing out the resolution at 1700 x 1700 pixels? I noticed that no matter how fine the image resolution of the original portrait I upload is, the resulting image is at best 1700 pixels in the longer dimension, whereas the source is two to three times that.